Lobo’s ‘I’d Love You To Want Me’ entered its 5th week at the top of the charts and was now the 22nd song to manage 5 or more weeks at 1. So far 10 of the 22 had been by American acts, 8 were by British acts and 4 by locals. No other nation had yet managed to see a song last 5 or more weeks at 1. Positions 2 to 4 were also unchanged. Rabbitt’s ‘Locomotive Breath’ was the climber of the week as it moved up 5 from 19 to 14 and this was the 4th time we saw a song pick up the award after re-entering the charts. Another re-entry was the only other star rater this week and that was Shuki & Aviva’s ‘Signorina Concertina’ which moved up 4 from 17 to 13. The Bee Gees moved out into the lead for number of biggest fallers as ‘Run To Me’ dropped 7 from 9 to 16 to give them their 12th such award. Tom Jones and Creedence Clearwater Revival were relegated to second place with 11 each. The Blue Ridge Rangers’ ‘Jambalaya (On The Bayou)’ became the 22nd song to spend just 1 week at the bottom of the charts as it dropped out of the top 20 after just a single week there. (A bit of a 22 theme going on here with Lobo being the 22nd song to spend 5 or more weeks at 1). There were 7 of these so far where they would be the only hit for the relevant act, but The Blue Ridge Rangers would see further chart action at a later date. We also bid farewell to Lauran Copley’s ‘It’s Too Late Now’ which spent 23 weeks in the charts and peaked at 2. This was the tied second best weeks count for a song by a solo female artist so far and by the time the charts finished it would be tied 8th (excluding weeks spent in positions 21-30 once the charts were extended). Jessica Jones’ ‘Sunday, Monday, Tuesday’ which managed 26 weeks was the best so far. We were not done with Lauren just yet. ‘It’s Too Late Now’ had been the oldest on the previous week’s charts and this mantle now fell to Johnny Nash’s ‘I Can See Clearly Now’ which moved on to 23 weeks. The departure of Lauren Copley from the charts would have reduced the local solo female count on the top 20 if it had not been for Maria entering at number 15 with ‘I’m On Fire’. Maria was born in Lourenço Marques (now Maputo) in Mozambique and her full name was Carmelia Maria Neto Lopez. Sadly, Maria died in 1981. The song ‘I’m On Fire’ should not be confused with 1975 hit of the same name by 5000 Volts. This one was written by Ben Findon and someone called Anthony (probably a surname, but could be a first name) and it was also recorded by an artist called Little Joe. Both Little Joe and Maria’s versions got released in the UK where Maria was listed as Maria Lopis. Findon would work closely with The Dooleys who would have hits in SA in the latter part of the 70s. ‘I’m On Fire’ was also recorded by a Brazilian group called The Fevers under the title ‘Meu Desejo’. The only other new entry this week was Freddy Breck’s ‘We Believe In Tomorrow’. Freddy was born Gerhard Brecker in 1942 and his first hit was ‘Überall auf der Welt’ which was the German version of ‘We Believe In Tomorrow’. The song was taken from the Giuseppe Verdi opera ‘Nabucco’ where the piece was called ‘Va Pensiero’ (more recently Zucchero recorded a version of this). Breck’s version made it to number 7 in his native Germany and had the same peak on the Dutch charts. It topped the charts in Belgium. This was the 13th song by a German act to make the top 20 and the Germans still sat 5th for hits by a nation, 5 behind the 4th placed Canadians who were on 18. With the German joining the charts, we now had 7 different nations represented in the top 20 (US, UK, SA, Germany, Ireland, Israel and Italy) and this was the most diverse chart we had had for 17 weeks and we were back to just 1 off the record to date 8 nations in the charts. Barbara Ray and Jessica Jones both moved on to 36 weeks in the charts and they sat tied 11th on the local weeks count list alongside Virginia Lee and all 3 were tied as the top local women on the list. Johnny Nash’s ‘I Can See Clearly Now’ became the 3rd song to accumulate 400 or more points as it moved on to 405. Alan Garrity’s ‘I Need Someone’ on 464 and The Staccatos’ ‘Cry To Me’ on 447 were the other 2 to have managed this so far. Garrity himself meanwhile was enjoying getting into the 700s for total points. He was the 25th act overall to reach this milestone and the 4th local act to do so. Ladies and gentlemen, welcome to the 400th SA Top 20 chart that was broadcast. This one was dated exactly 2,800 days after the first one which came out on 4 June 1965 and would have been broadcast 18 days short of 44 years before this blog came out. The 400th chart saw Lobo’s ‘I Want You To Want Me’ enjoying its 4th week at 1 and the American acts clocking up a 23rd consecutive week holding on to the top spot. The best the Brits had managed so far was a run of 16 weeks. Overall the Brits still led the way for total weeks at 1 as they had occupied the top spot for 162 of the 400 weeks with the Americans managing 151. The locals had managed 66, with Dutch acts seeing 7, Italian and Greeks 4 each, the French 3, Germans 2 and the Aussies just 1. Don Gibson’s ‘Woman (Beautiful Woman)’ climbed 2 into second place to bring pressure onto Lobo and threatening to make it 4 number 1’s in a row by US acts. Barbara Ray’s ‘I Don’t Wanna Play House’ was the climber of the week for a second week running as it moved up 9 from 12 to 3. Ray led the way now for most biggest climbers by a local act as she moved 1 ahead of Billy Forrest and The Staccatos. The 9 place climb that ‘I Don’t Wanna Play House’ managed was the 8th time a local song had climb 9 or more places in a week with Alan Garrity’s 12 place jump with ‘Put Your Hand In The Hand’ still being the best we had seen. In terms of biggest climbs by local woman, this was tied second, equalling Cornelia’s ‘Picking Up Pebbles’ and being 1 less than the 10 places Hilary’s ‘Sunglasses’ managed. The only other star rater this week was Elton John’s ‘Crocodile Rock’ which climbed 6 places from 17 to 11. The faller of the week award went to Giorgio’s ‘Today’s A Tomorrow’ and Lieutenant Pigeon’s ‘Mouldy Old Dough’ which both fell 5 places to land at 13 and 15 respectively. There were 3 songs that left the charts this week and the first of these was Daniel Boone’s ‘Annabelle’. His first 3 hits had all gone top 10 and spent more than 10 weeks in the charts, so it would have been disappointing for him that ‘Annabelle’ only managed 1 further week in this, its second run on the charts and this brought its total up to 3 weeks with a peak of 16. This also ended Boone’s SA chart career. He had seen 4 hits chart, spent a total of 52 weeks in the top 20 and 10 of those were at the top spot in a broken run that ‘Beautiful Sunday’ managed. He sat 33rd overall for weeks in the charts. Denise Freeman’s ‘A Shoulder To Cry On’ just missed out on getting to the 20 weeks in the chart milestone as it dropped out of the top 20 after a run of 19 weeks and peaking at 2. This would be her only SA chart outing. Based on the points system this would end up being the 12th best performing song by a local woman. This meant that the number of hits by solo local women dropped down to 4. It would never be as high as the 5 it had managed on 6 different weeks previously. Last to go was a song which would hold the all-time record for consecutive week in the top 20 (i.e. ignoring positions 21 – 30 once the charts were extended). Alan Garrity’s ‘I Need Someone’ spent 33 straight weeks in the top 20 and peaked at 2. In terms of weeks it far outshone his previous (and only other to date) hit, ‘Put You Hand In The Hand’ which only managed 13 weeks, however, ‘Put Your Hand In The Hand’ did manage to get to number 1. ‘I Need Someone’ had been the oldest in the charts for 12 weeks which was the tied second best to date, equalling Tommy Roe’s ‘Sweet Pea’ but falling short of the 19 weeks The Staccato’s ‘Cry To Me’ managed. There was more to come from Garrity. The new oldest in the charts was Lauren Copley’s ‘I’s Too Late Now’ which was on 23 weeks. It had been just over a year since we had last seen Hot Chocolate on our charts, but they were back this week with their 2nd hit, ‘You’ll Always Be A Friend’. As with their first hit, ‘I Believe (In Love)’, this new track was written by Errol Brown and Tony Wilson. We had not missed out on any in between hits as ‘You’ll Always Be A Friend’ followed ‘I Believe (In Love)’ into the UK charts where it made it to number 23. Shuki And Aviva’s ‘Signorina Concertina’ made it back into the chart after being absent for a week to be the 35th song to re-entered the chart. Last of the new entries was ‘Jambalaya (On The Bayou)’ by a band called the Blue Ridge Rangers, although ‘band’ is a bit misleading as it was essentially Creedence Clearwater Revival’s John Fogerty. In fact later editions of the album that the song came from were brought out under Fogerty’s name as opposed to Blue Ridge Rangers. ‘Jambalaya’ was a Hank Williams penned song which he took to the top of the Billboard Country Singles chart in 1952. Fogerty’s version made it to number 16 on the main US charts. On the local weeks count list, Barbara Ray, Jessica Jones and Lauren Copley all moved on to 35 weeks. This did not move them up the list as they were still in tied 12th place, 1 week behind Virginia Lee who was highest placed woman on the local list. Murray Campbell whom the three had shared 12th place with last week, dropped down to 13th. ‘I’d Love You to Want Me’ moved on to 3 weeks at 1 and in doing so clocked up 150 weeks at the top of the charts for songs by American acts. They still lagged behind the Brits in this one as the latter had seen 162 weeks to date. The Americans had, however, dominated of late as this was the 23rd straight week with a Yank at 1. Gilbert O’Sullivan’s ‘Clair’ picked up its 3rd biggest climber award with a 4 place jump from 10 to 6. It shared the award with Barbara Ray’s ‘I Don’t Wanna Play House’ which climbed into 12th place from 16 and gave Ray her 5th biggest climber to date. She joined Billy Forrest and The Staccatos at the top of the list for number of biggest climbers by a local act. These were the only 2 star raters this week. Alan Garrity’s ‘I Need Someone’ took faller of the week for a second time with a 7 place drop from 9 to 16. It was still the oldest in the top 20 sitting on 33 weeks and. This was the 12th week the song was the oldest and it was now tied second for most weeks as the oldest, equalling Tommy Roe’s ‘Sweet Pea’ and sitting second to The Staccatos’ ‘Cry To Me’ which managed 19. We said goodbye to Sharon Tandy & Billy Forrest’s ‘Hello-A’ which had enjoyed a run of 13 weeks and seen a peak of 5. To date this was the best weeks and peak figures for a local duet/collaboration unless one regards Barbara Ray & 5th Association’s co-credit for ‘Like I Do’ which only beat ‘Hello-A’ on peak, making it to 4 during a 13 week stay. Shuki & Aviva’s ‘Signorina Concertina’ lasted just 1 week at number 19. It was the 20th song to date to have a run of just 1 week at 19 with 2 of the previous 19 seeing the 1 week run when they re-entered the charts. And talking of re-entries, both the songs that replaced the leavers this week were having a second stab at a chart run. Rabbitt’s ‘Locomotive Breath’ was the 33rd song to re-enter the chart while Daniel Boone’s ‘Annabelle’ was the 34rd. This week was the 4th time we had seen 2 re-entries in the same week and we would only see this happen 1 more time. Rabbitt’s re-entry was the 6th by a local song and returning to the charts at number 15 was the highest re-entry position we had seen a local song manage so far and this would be an all-time record that would be equalled once but never beaten. Solo male artists once more accounted for 50% of the charts. This was the 3rd week in the last 4 where they had 10 songs in the charts. We still had more songs by local acts than by any other nation in our top 20 and 8 were lekker local hits while the Brits and Yanks contributed 5 each and Ireland and Italy with 1 each made up the numbers. This was the 38th time the locals had the lion share of the charts. Alan Garrity reached a half century of weeks in the charts and was the 35th act to clock up 50 weeks. He sat 5th on the local weeks count list, shaking off The Peanut Butter Conspiracy whom he shared the spot with last week. The latter dropped to 6th. Another local act also celebrated a weeks landmark and that was Jessica Jones who had now been in the charts with at least 1 hit for 30 consecutive weeks. She was way out in front for a consecutive week run by a woman with the next best being Vicky Leandros’ 23 weeks in a row on the charts. Barbara Ray, Jessica Jones and Lauren Copley all moved into tied 12th spot on the local weeks count list, their 34 to date putting them level with Groep Twee. Lauren Copley’s ‘It’s Too Late Now’ became the 15th song to reach the 300 points mark as its total moved on to 300 exactly. She was the 6th local act and second local woman after Jessica Jones to see a song accumulate this many points. Terry Dempsey reached a landmark of weeks in the charts as a songwriter as his total moved on to 200 and was the first song writer to manage this. He was now 32 ahead of his nearest rival, Les Reed. The average number of weeks the top 20 songs had been with us crept over 10 for the 8th time since the charts started. It sat on 10.3 this week. As the top 3 songs were unchanged we experienced the 4th time that the top 3 all started with the same letter (ignoring ‘The’, ‘A’’ and the Afrikaans ‘Die’). 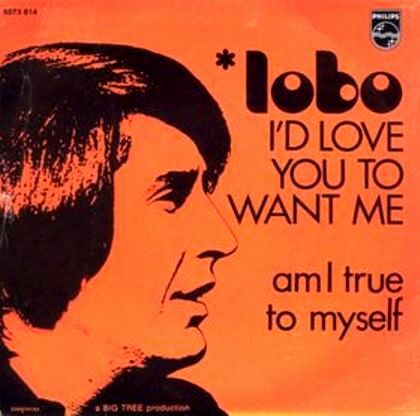 Lobo’s ‘I’d Love You to Want Me’ enjoyed a second week at the top of the charts while previous chart topper, Johnny Nash’s ‘I Can See Clearly Now’, was unmoved at 2 but was enjoying its 20th week in the charts. It was the 20th song to reach this milestone. Kincade’s ‘Dreams Are Ten a Penny’ was the climber of the week as it moved up 8 from 20 to 12. So far we had seen a song climb 8 or more places in a week 152 times with 85 of those occasions being a climb greater than 8 places. Only 1 other song managed to climb 4 or more places to be a star rater and that was Don Gibson’s ‘Woman (Beautiful Woman)’ which moved up 4 from 8 to 4. It was the 3rd time the song had seen a star rater climb. The duet between Sharon Tandy and Billy Forrest, ‘Hello-A’, was the faller this week. It dropped 7 from 13 to 20. This was the 20th time a song by a local act had fallen by 7 or more places. Alan Garrity’s ‘I Need Someone’ moved on to 32 weeks in the chart and had now been the oldest in the top 20 for 11 weeks and this placed it tied 3rd for most weeks as the oldest with only the 12 weeks that Tommy Roe’s ‘Sweet Pea’ and the 19 weeks that The Staccatos’ ‘Cry To Me’ were the oldest beating it. Rabbitt’s ‘Locomotive Breath’ lasted just 2 weeks in the top 20 as it fell off the charts this week after peaking at 18. They would grace our charts again. Daniel Boone had enjoyed great success with his first 3 SA chart hits with all of them spending more than 10 weeks in the top 20 (averaging 16.3 weeks) and one of them (‘Beautiful Sunday’) spending 10 weeks at 1. His latest offering ‘Annabelle’ was not nearly as successful, lasting just 2 weeks and peaking at 16. This brought his average weeks per song down to 12.75, but he would be back. Elvis Presley, on the other hand saw his best performance weeks wise with ‘Burning Love’ which lasted 17 weeks in the top 20, beating his previous best of 16 which ‘Suspicious Minds’ had managed. However, the peak of 7 that ‘Burning Love’ managed was his tied 3rd lowest. It was the 2nd of 5 songs that would spend 17 weeks in the chart to only make 7 or lower with John Edmond’s 1972 hit ‘Every Day Every Night’ being the only other one to do this so far. It also peaked at 7. Fans of The King will be pleased to know that we still had a few more hits to come from him. Barbara Ray’s 4th hit to make our charts was ‘I Don’t Want To Play House’ which was a cover of a Tammy Wynette hit. The song was written by Glenn Sutton and Billy Sherill. Tammy’s version made number 1 on the Billboard Country Singles charts and won the Grammy for Best Female Country Vocal Performance. Barbara’s version managed to chart in Australia and, depending on which charts you look at, it made number 7 (on the Go Set Charts) or number 4 (on the David Kent Charts). Either way it was a great achievement for her. Ray was the 7th female to see 4 hits chart and moved tied 2nd for hits by a local woman, equalling Judy Page and sitting 2 behind Virginia Lee. The number of hits by local solo female acts was back up to the all time high of 5 with the arrival of Barbara Ray’s new one. Reginald Dwight made his debut on our charts this week. Better known as Elton John, his first SA hit was ‘Crocodile Rock’. It was his 4th UK hit and made number 5 there. It gave him his first US number 1 and also topped the Canadian, Italian and Swiss charts. John wrote the song with his long-time collaborator Bernie Paul and it was produced by Gus Dudgeon who had produced John Kongos’ ‘Tokoloshe Man’ and ‘He’s Gonna Step On You Again’. Last of the new entries was ‘Signorina Concertina’ by Shuki And Aviva. Shuki was Shuki Levy an Israeli-American who has written a lot of music for television programmes while Aviva was Aviva Paz who was an Israeli actress. This would be the only song by an Israeli act to chart in SA. The song sold over 2 million copies in Europe. Israel were the 18 nation to give us a top 20 hit. This was the 37th week where the local acts outdid any other nation for number of hits in the top 20 as they contributed 8 to this week’s countdown while the Americans managed 5, the Brits 4, with the three ‘I’s (Italy, Ireland and Israel) contributing the rest. The UK acts were starting to open up a little gap at the top of the list for overall number of hits as they had given us 333 so far compared to the American’s 330. Johnny Nash became the 109th act to reach 20 weeks in the charts while Rick Nelson was the 69th to reach the 30 weeks mark. Alan Garrity’s weeks count tally ticked over to 48 and he moved tied 5th on the local weeks count list, equalling The Peanut Butter Conspiracy. A little lower down that list, 3 local lasses joined Murray Campbell in tied 13th spot as Jessica Jones, Lauren Copley and Barbara Ray all saw their totals move on to 33 weeks. Alan Garrity’s ‘I Need Someone’ set a new record for points for a song as its total moved on to 459, moving it 12 ahead of The Staccato’s ‘Cry To Me’ which it shared the top spot with last week. The Bee Gees, who sat second on the points by an artist list, closed the gap between themselves and Tom Jones as they passed the 1,500 mark to move on to 1,515. They were still 654 behind Jones who was on 2,169. This week saw the 3rd time that the top 3 songs titles all started with the same letter. The previous 2 times were with ‘I Need Someone’ and ‘I Can See Clearly Now’ and ‘It’s Too Late Now’ on the 3rd and 17th of November 1972. We did see the ‘D’s in the top 3 spots way back in 1966, but that included Des Lindberg’s ‘Die Gezoem Van Die Bye’ and I’ve excluded ‘The’ and ‘A’ at the start of a title, so an Afrikaans ‘Die’ shouldn’t count. Johnny Nash’s run at the top of the charts with ‘I Can See Clearly Now’ finally came to an end after an all-time record 13 straight weeks there. No other song would match this feat. Lobo gave us our first new number 1 in 3 months with his ‘I’d Love You To Want Me’ which moved up from 2 while Nash’s hit fell 1 to 2. This continued our run with an American act at the top of the charts and this was the 20th straight week that the yanks had held the number 1 spot with Lobo’s 1 week being added to Nash’s 13 and the 6 that Dr Hook managed before Nash. Rick Nelson’s ‘Garden Party’ picked up a second biggest climber award 5 weeks after it had last managed this. It moved up 6 from 13 to 7. This was the only star rater climb we saw this week. In so doing it became the 14th song so far to have a biggest climb after experiencing a biggest fall which it had seen the previous week. Jessica Jones’ ‘Wake Up Wake Up’ was the faller of the week as it dropped 5 from 9 to 14. It was the second time she had seen a biggest faller with ‘Sunday, Monday, Tuesday’ picking up her first one 12 weeks previously. Alan Garrity’s ‘I Need Someone’ was the oldest on the charts and this was the 100th week where we had seen the oldest on the chart be by a local act. ‘I Need Someone’ had been with us for 31 weeks. There was only 1 song that left the charts this week and that was The Sweet’s ‘Wig-Wam Bam’ which spent 13 weeks on the charts and peaked at 8. This was a 1 place better peak than their previous hit, ‘Little Willy’ which in turm had been better than the hit before that, ‘Poppa Joe’ which went to 12. Their 2 hits before that (which were their first 2 hits) both topped the charts. New to the charts was British band Kincade with their song ‘Dreams Are Ten a Penny’. This was the first song to chart that mentioned a form of currency in its title. There would be 2 more (both referring to the dollar). Ironically, the song was released on the British label Penny Farthing. The song failed to chart in the UK or the US, but did make it to 2 in Germany, 6 in Australia, 13 in Austria and 18 in the Netherlands. A cover version by the band First Class (whom we would see on our charts in 1975) made number 83 in the US. For a second week running we had 10 songs by solo male artists in the charts and more songs by local acts than from any other nationality as we had 8 with the Americans contribution 6, the Brits 4 and Ireland and Italy providing the other 2. The Bee Gees overtook The Hollies for weeks in the charts as they had 121 to their name compared to the Hollies’ 120. The Bee Gees sat 2nd overall for weeks while The Hollies dropped into 3rd place. Having 2 hits in the charts meant that Alan Garrity leapfrogged The Bats and John Edmond on the local weeks count list as he jumped from 8th to 6th with 46 weeks to his name. Jessica Jones and Lauren Copley both moved into tied 14th place on the local list, sharing the spot with Barbara Ray and The Dealians with all 4 acts being on 32. Alan Garrity’s ‘I Need Someone’ moved on to 447 points which equalled the best effort to date which The Staccato’s ‘Cry To Me’ had managed. Lauren Copley’s ‘It’s Too Late Now’ became the 19th song to reach 20 weeks in the charts. It was the 8th song by a local act to make this milestone and second (after Jessica Jones’ ‘Sunday, Monday, Tuesday’) by a local solo female.